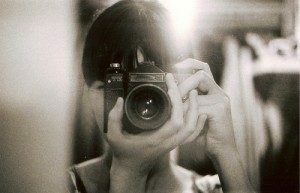 What gave photography power to penetrate into every aspect of our lives? Nowadays we seem to be unable to survive without photos. A diner would take a photo before he/she starts with the food, a student would take a photo of the whiteboard instead of jogging down notes, a police would rely on photos to catch speeding cars and to keep records, and of course everyone takes photos when he/she sees something worth remembering. Then there are also the subtler impacts such as its legacy in fine arts,film, the belief of capturing the present moment, and so on. But how have we come to this? What gave photography power to penetrate into every aspect of our lives? 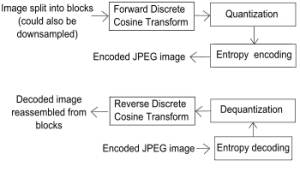 In the 21st Century, where the majority of photography has become digital (both in production and distribution), photography’s power lies in the various electronic devices with a lens (be it zoom or prime) and a photosensitive element (be it CCD or CMOS), in the technology of how the light is interpreted by the electric circuit, and in the shared rules/protocols of how such information is to be encoded, compressed, and decoded (RAW, JPEG, etc.) Without these, it would have been impossible to take a photo anywhere anytime with almost no cost nor trouble, to transfer light bouncing off objects’ surfaces into a digital file, and to make any use of the digital file (of course we would not be thrilled if we have to read 0s and 1s all the time). From the late 19th Century to the 20th, the power of photography came from the flourishing industry of film. This thin sheet of plastic coated with an emulsion was enjoying its peak during the 1900s, when it became indispensable for photography, for motion picture (one of the hottest media even up to now), and even for the medical world, where it served as an essential medium for X-rays. Before George Eastman introduced roll film, cameras used silver surfaced copper plates and inevitably were big, complicated, expensive, and only used by professional photographers. 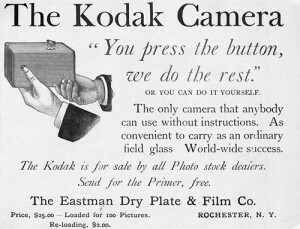 With the film, Eastman was able to market the Kodak cameras, which were small, foolproof, and cheap. 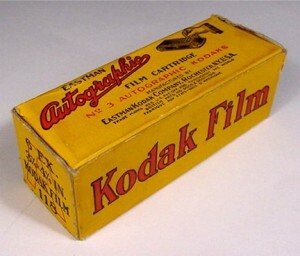 Not only was the Kodak camera affordable, common people could also buy film rolls everywhere and easily have them developed at a reasonable cost. 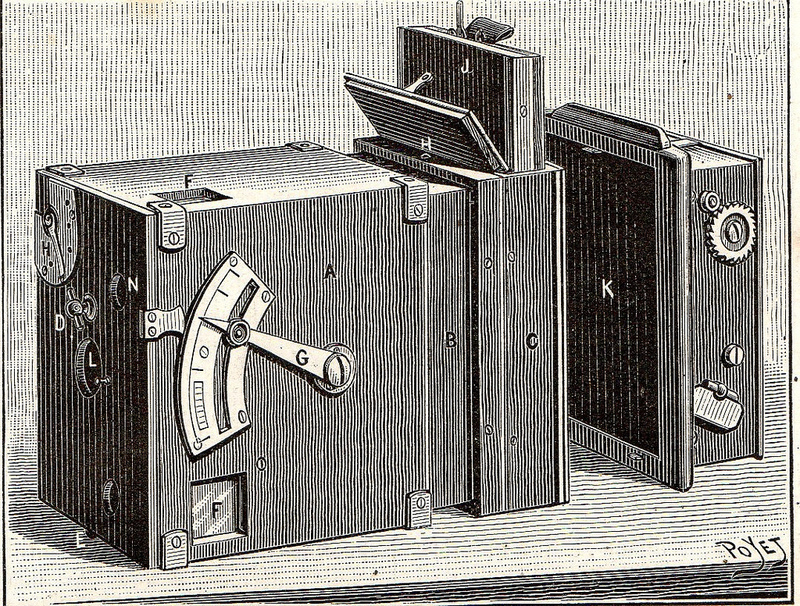 This system marked the advent of amateur photography. More and more people owned cameras, which resulted in changes in people’s point of views towards the world, and also in a boom in pictorial historical records, contributed by every ordinary family. Now let’s move further back to the pre-film era of 19th Century. 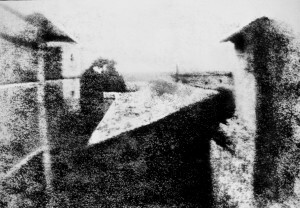 This is when the first permanent photoetching was introduced by Nicephore Niepce, and when the very term of “photography” was introduced by John Herschel. In this era, the power of photography came from the ancient lineage of fine art. 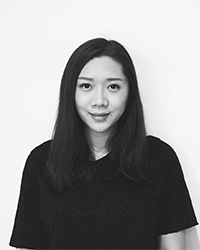 After centuries of development, people have become accustomed to the method of translating three-dimensional objects onto a two-dimensional surface, and in very vivid, life-like ways. When it was first introduced, photography, a very hot medium with almost no room for ambiguity or disbute, was celebrated as the perfect reproduction of reality that no artist can compete with. The tradition that paintings try to be somewhat objective and reproduce real life brought photography to interest, and in turn, the quality and popularity of photography served to devalue artists’ skills in replicating reality, and drove artists to approach reality in a quite different way. Thus is born the school of Impressionism, which led to an entire new era of artistic subjectivity. With the cameras becoming more and more portable, some branches of photography started to acquire relaxed compositions, which also contributed to the relaxing of compositions in paintings, compared to its more staged tradition. This portability also extended to journalism, letting photography taking over earlier hand-drawn illustrations. Such photography-based journalism is deeply-rooted in our culture nowadays, that only by having proper photos can a report prove itself legitimate. Then even before the 1822 first prototype, we have to remember that photography did not just appear from nowhere. In the 18th Century Thomas Wedgwood produced images on silver and Tiphaigne de la Roche published the novel Giphantie which predicted the notion of modern photography; in the 17th Century Wilhelm Homberg described the photochemical effect of certain chemicals darkening when met with light; in the 16th Century George Fabricius discovered silver chloride; in the 13th Century Albertus Magnus discovered silver nitrate, and dating all the way back to 5th/4th Century B.C., Mozi and Aristotle independently described the phenomenon of pinhole camera. Without an documenting and circulating system, these knowledge would not have survived, been passed on, learned and combined by the 19th Century generation who eventually brought photography into real life. 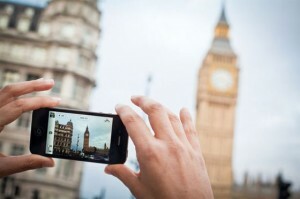 We sometimes think of photography as a technology, a medium that has completely changed our ways of living. Well, although it has had great influence on our world, it has never “completely” changed things on its own. Photography was born on the top of old wisdom that was preserved and circulated within an established literature system; it was popularized with the invention of film and the supply chain that came together; and it has now been applied everywhere in our lives because we are able to digitize things, translating images to 0s and 1s and vice versa. Photography was never born in the vacuum, and would never have had much impact had it stayed in its primitive form. It has gained its power through institutions, and has influenced the world through institutions. Gernsheim, H., & Gernsheim, A. 1955. 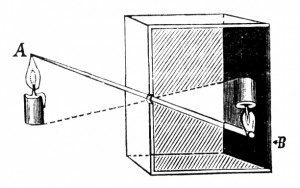 The History of Photography from the Earliest Use of the Camera Obscura in the Eleventh Century Up to 1914. Oxford University Press. Gernsheim, H. 1986. A Concise History of Photography. Courier Dover Publications: Mineola, N.Y.
McLuhan, M. 1964. Understanding Media, the Extensions of Man. Potonniee, G. 1973. 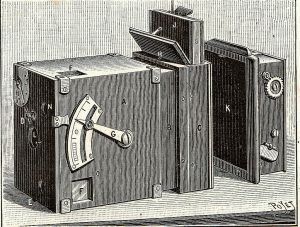 The History of the Discovery of Photography. Arno Press. Originally published by Georgetown University under the terms of a Creative Commons Attribution-NonCommercial-NoDerivs 3.0 Unported license. This entry was posted in Art History, History, Photography. Bookmark the permalink.